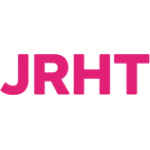 JRHT is a charity which provides housing, care homes, retirement and supported housing; and demonstrates new approaches in these areas. It is a registered provider, regulated by the Homes and Communities Agency; and its care schemes are regulated by the Care Quality Commission. Consider how JRHT’s governance arrangements play out at trustee, board, committee and executive level. The methodology included a document review, board observation and structured interviews with Board members and senior staff. The subsequent report was positively received by the Board and most of its recommendations adopted.